Orphan Black is a great series. I love the first two seasons. Have a weekend. You definitely need an outside reading spot. It's why I like summer reading. I get to be outside in the shade and enjoying summer and the outdoors but still reading. Oh my gosh I can't WAIT for Orphan Black, I need it like now. Have you ever watched The Returned (the French version)? Netflix has it. Creepy!!! But not in a gory way, it's very psychological. The Return looks trippy, love the cover. Orphan Black is one of the best. I'm sad this upcoming season is the lsst. I love Helena and Allison. You've got so many good episodes to come. I'm looking forward to you review of tHe Returned. I haven't read the Jennifer Estep series, but I've heard good things about it. Enjoy the book and have a great week! 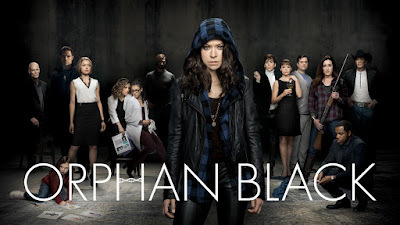 I enjoyed Orphan Black but lost track of it after season 2. I should get back to it. Have a great week! I wish I could say my reading increases during the summer, but it rarely does--so I'm right there with you. 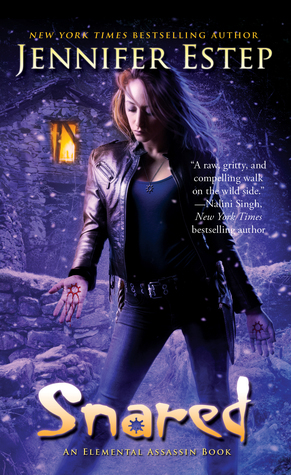 I haven't read anything by Estep, but I have heard good things about her books. I really like Orphan Black too. I have seen the first two seasons and need to dive into the third. I hope you have a great week, Jennifer! I will have to give Orphan Black a shot - it looks really good! The Return looks really good. I'll have to check it out. And my daughter keeps telling me how good Orphan Black is. I keep meaning to start watching it. Hope you have a great week, Jennifer. WHOA... I'd been meaning to give Estep's series a try one of these days but it's already on installment 16?! I'm not so sure now. lol That's a lot of catching up.. 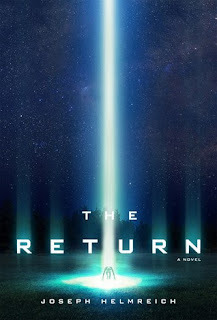 I look forward to your review of the Return - I can also join Greg in recommending The Returned (the French version). It's very good.